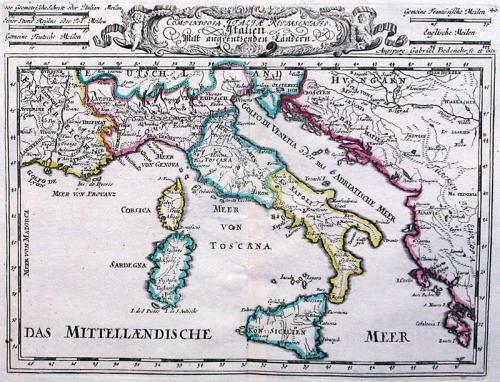 A beautifully engraved map of Italy, Corsica, Sardinia and Sicily divided into their various Kingdoms. Scarce. Fold(s) as given.